Take-Two Interactive, Rockstar Games' parent company, held a conference call for investors yesterday. The news was generally good – unless you're a PC owner who's hoping to see Red Dead Redemption on PC at launch. While Take-Two posted strong numbers for 2018's first fiscal quarter, it won't commit to Red Dead Redemption 2 on the PC. The hotly-anticipated sequel to Rockstar's much-loved western adventure is confirmed for a spring 2018 launch on the Xbox One and PlayStation 4 (it's already been bumped once from a Holiday 2017 release, though the delay came as a bit of a relief), but a PC date is lacking thus far. Hold your horses, PC owners. During the conference call, Take-Two President Karl Slatoff was asked about the company's stance on PC support. Slatoff pointed out that some properties, like XCOM and Civilization, "are heavily weighted to PC." 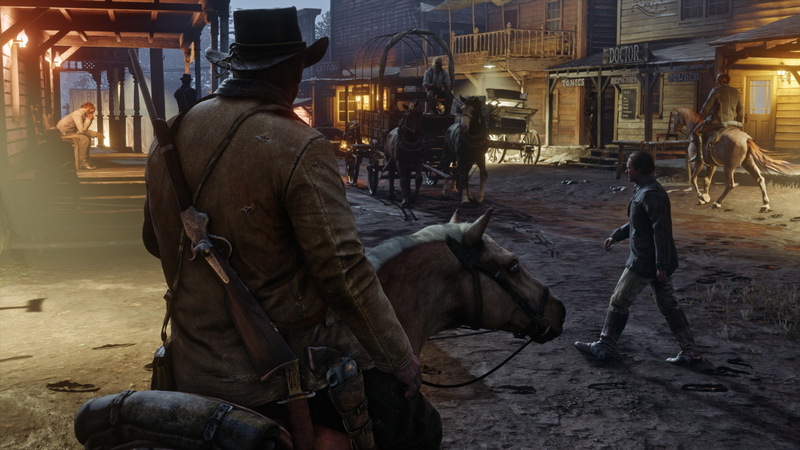 However, when another caller asked Take-Two CEO Strauss Zelnick directly about PC support for Red Dead Redemption 2, Strauss said "any updates about any of our titles will come from our labels." The original Red Dead Redemption never officially hit PC, but Grand Theft Auto came to Windows five months after the game re-launched on the Xbox One and PlayStation 4 in late 2014. There's a good chance Red Dead Redemption 2 will likewise get a PC release, but you may have to wait a bit, pardner. Well, it's been nearly eight years between Red Dead games. What's a few more months of waiting for it to come to PC?